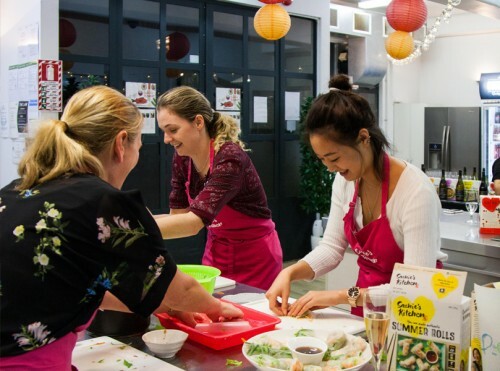 Last night we were lucky enough to head along to Sachie’s Kitchen and try out her authentic Asian cuisine, with just one catch, we had to cook it ourselves! Now this might fill a few of you with dread or skepticism, but trust me, if I can do it you can do it. As someone who is not a fantastic cook, I managed with little stress! So how is this so simple? Asian-fusion chef Sachie Nomura has created meal kits that make it ridiculously easy but do not skimp on flavour. Sachie has made the pastes and sourced all of the spices so you can expect each packet to taste just as she had made it. 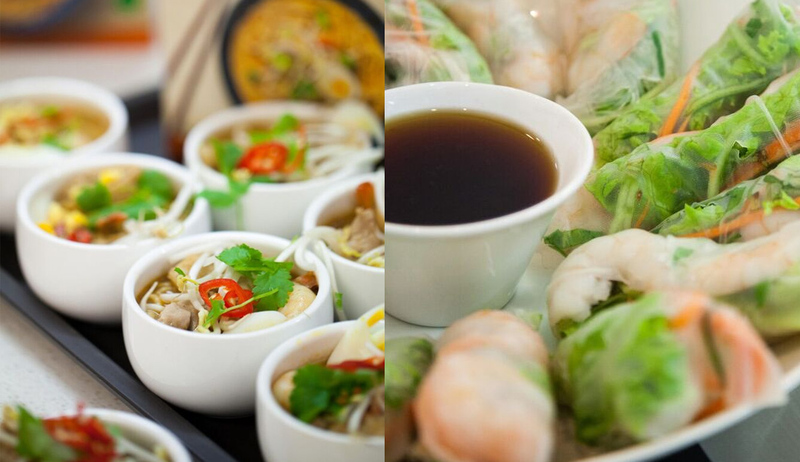 The kits are available in seven varieties including Pad Thai, Vietnamese Summer Rolls, Thai Red Curry, Lemongrass Chicken, Japanese Teriyaki Chicken, Indonesian Beef Rendang, and Malaysian Laksa. 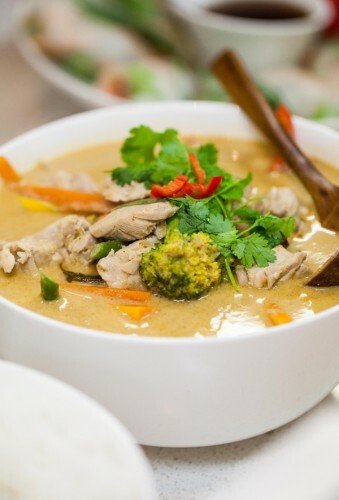 Each one include all the base ingredients you need, so you just have to pop out and get your fresh ingredients and soon you will have delicious meals. 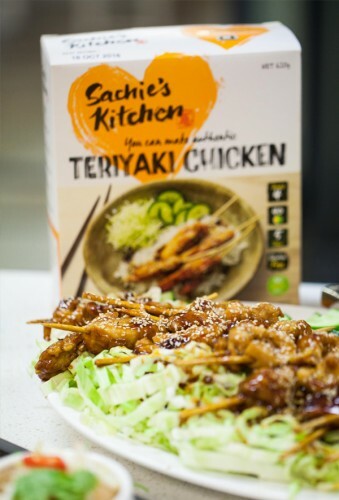 “I’ve done all the hard work, so all you really need to do is throw it all together!” Sachie said. And she was so right! 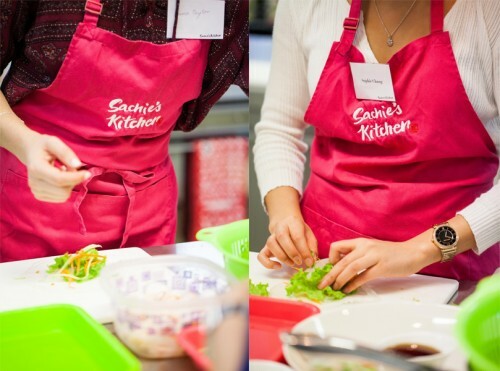 Sachie was also kind enough to share two tips with us, that need to be shared. Rinse your rice then massage it and complete this until the water runs clear. Then fill it with correct amount of water for the type of rice you have and put it on the stove top with the lid. No oil, no salt, just water and rice. 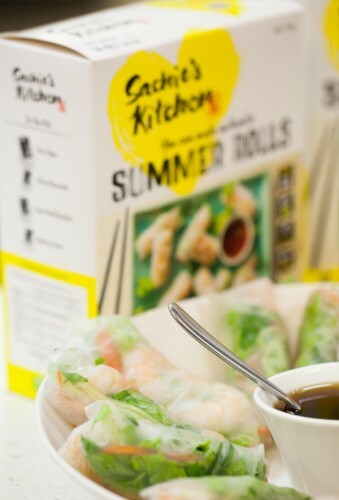 Rice paper rolls can be tricky wee devils, but Sachie saved us the drama. Put one piece of paper in water and keep checking the softness. You know it is done when you hold it in both hands and the side falls in. Also, use a plastic chopping board not a wooden one! 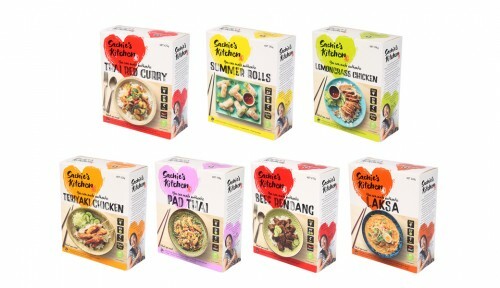 Sachie’s Kitchen meal kits in Malaysian Laksa, Pad Thai, Vietnamese Summer Rolls, Japanese Teriyaki Chicken and Indonesian Beef Rendang varieties are available for RRP $9.99 at leading supermarkets now, with Vietnamese Lemongrass Chicken and Thai Red Curry available from June 2016.